Dubai can be termed as a hub of consuming different gastronomies, as large number of its population are expatriates, who belong to different parts of the world. Turkish also fall in this category of expatriates in Dubai and some of them are running their own restaurants in this metropolis. 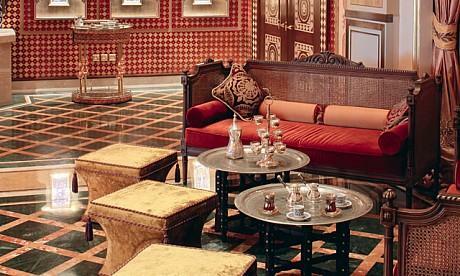 They mainly serve authentic delicacies of Turkey in these bistros, which are mostly inherited from Ottoman cuisine. However, not all of them are inspired from Ottoman fare, as there are some regional dishes of Turkey too that are well-liked by different communities, including Turks. Main highlights of this cuisine that one will get in every other Turkish restaurant of Dubai are wide array of succulent kebabs, kofte, kokorec, doner, gozleme and etc. If you are fond of meat and grilled dishes, then Turkish restaurants in Dubai would not let you down, as they are specialized in preparing such delicacies. So bask in these Turkish varieties by knowing their details from this listing. If you are not interested in visuals and want to consume food in a Turkish restaurant that serves delicious and quality food at affordable price, then beeline to Harput Restaurant. This Turkish bistro offers decent variety of various Turkish regional cuisines on Sheikh Zayed Road in Al Barsha locality of Dubai. However, seating and decor of this restaurant is quite simple and give looks more like a cafe. The reason for attracting customers in decent numbers does not only mean that Pasha Restaurant is taking advantage of its prime location, as it is located inside the famous Mall of the Emirates in Dubai. The actual secret behind its success is their teams of chefs, who have give modern touch to its Turkish cuisine by maintaining its quality and authenticity. 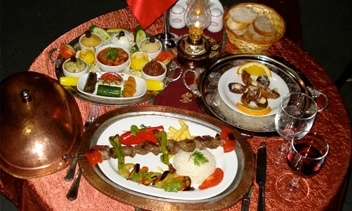 Plus the range of Turkish food offered here is also quite extensive therefore patrons have wide choice when it comes to eating at Pasha Restaurant. This unfussy bistro is located in the commune of Deira, Dubai at the back of Ramada Continental, where it offers traditional Turkish food at reasonable price. However, this does not mean that Turkish fare of Istanbul Sultan restaurant is low in quality because it is the superior taste and excellence of the dishes, which has made both locals and foreigners true admirers of this eatery. 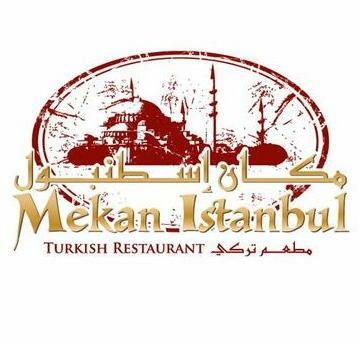 Mekan Istanbul Restaurant in Deira, Dubai not only has delicious array of Turkish food, but its interior is also elegantly decorated. So whenever a guest enters into this venue, its chic decor right away captures his or her eyes. 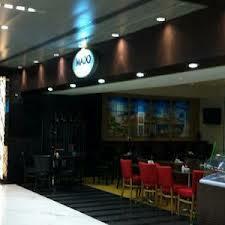 Moreover, service standard of this restaurant is also pretty decent, as their staff is attentive and accommodating. Therefore, locals and tourists often visit this place and relish the authentic fare. Taj Palace Hotel is not only well-known for its fine accommodation facilities, but also because of its fine dining restaurants. 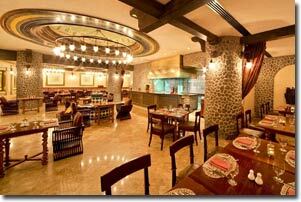 This index of restaurants at Taj Palace Hotel also includes a wonderful Turkish restaurant called Topkapi Restaurant. This spectacular venue serves lip smacking Turkish savories because of which it allures several expatriates of Turkey too. In spite of the fact that Mado Restaurant in Dubai International Financial Centre (DIFC) does not offer traditional Turkish kebabs on its menu, several people often visit this eatery to relish food. The reason behind is that the range of Turkish cuisine, which Mado Restaurant offer is extremely luscious that will make you its devotee right away. Moreover, their prices are also nominal so guests would not have to dig deep in their wallets. 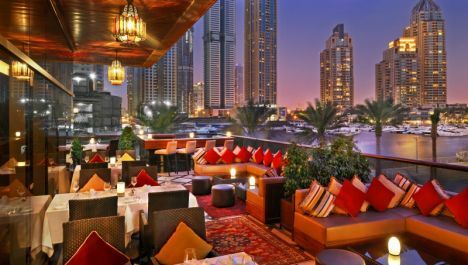 Ottomans Restaurant at Grosvenor House hotel in Dubai Marina offers refined atmosphere and two distinctive, but scrumptious cuisines Arabic and Turkish in a lavish interior and a nicely decorated outdoor area. So here guests can take pleasure in the spectacular views of Dubai Marina, while enjoying Middle Eastern delicacies. Its staff also provides first-rate service to the guests, so each patron will leave this venue fully satisfied. 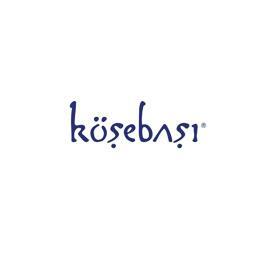 Famous Turkish restaurant chain Kosebasi has also opened a branch in Dubai in the locality of Dubai Marina, where it serves regal Turkish cuisine that is rich in flavors and superlative in quality. It is because of these fine attributes that today Kosebasi Restaurant is dragging a lot people from different corners of the metropolis. Due to this reason, Kosebasi Restaurant has a decent base of patrons and it is giving a real tough time to its competitors on ‘The Walk’. 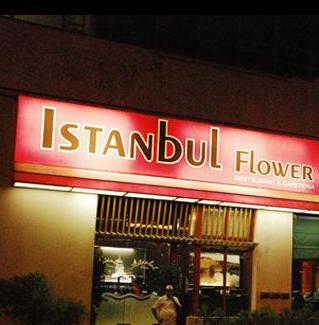 Lavish furnishings are not the strong suit of Istanbul Flower restaurant. However, when it comes to relishing authentic and appetizing Turkish cuisine, then this eatery has no match. Because this restaurant pays attention to each detail and serve only the best. Due to this reason Turkish community living in Dubai also loves this place and often kept it busy whenever they visit Jumeirah. 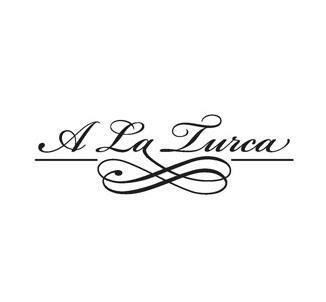 Elegance, splendid visuals and wide-ranging menu of A La Turca restaurant makes it one of the sought after restaurants in Dubai. 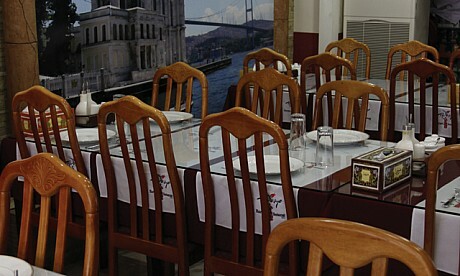 As, this bistro offers various international cuisines along with authentic Turkish food. Plus all you can eat deal is also offered to the guests during breakfast, lunch and dinner. Apart from this, a la carte menu is also available to the guests for the period of lunch and dinner only. On top of it, A La Turca’s spell binding location forces people to return to this establishment time and again. With the passage of time more and more attractive venues are opening on famous Palm Jumeirah Island therefore, despite being a distant point people keep coming back to this community either to spend some leisure time or eat out in any of its fine dining restaurant. Lalezar Restaurant is exactly this type of establishment in Jumeirah Zabeel Saray hotel on the west crescent of the Palm, where food lovers come to enjoy luxurious settings, terrific views and outstanding Turkish fare. The taste and quality of their food is absolutely amazing because of which this eatery has been able to register its mark in very short span of time.